SolidWorks PDM to 3DEXPERIENCE Migration Adapter - SteepGraph Systems Pvt. Ltd. » SteepGraph Systems Pvt. Ltd. 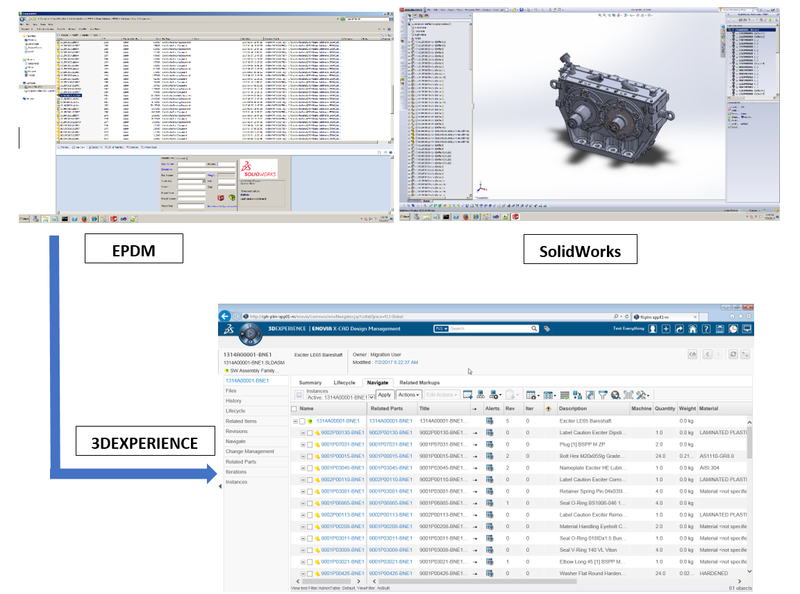 Many organizations have chosen 3DEXPERIENCE as the enterprise PLM platform, but many of their local sites are still using SolidWorks PDM as the CAD data management tool.Platform. Having separate PDM and PLM leads to digital discontinuity. Business Processes such as Configuration Management, Change Management, Program Management cannot be effectively implemented in Engineering group. Cost of maintaining PDM and PLM systems. The other category of the organizations is those who chose SolidWorks PDM when their design teams were small, but as the organizations grew, needs of Enterprise PLMs are felt for Design engineering collaborating across sites, across countries.For these organizations, 3DEXPERIENCE as strategic single platform to manage CAD and PLM business processes and leverage 3DEXPREINCE platform services such as Social Collaboration, reuse of design parts, Program Management, Configuration Management, 3D model comparison for BOMs comparison, Index based fast searches, Connectors with ERP systems and so on. What data to migrate – all or only released? Site by Site migration, versus all sites together? Should we migrate non-engineering data to 3DEXPERIENCE Platform? Ability to perform migration product by product or site by site and still maintaining referential integrity. SteepGraph’s SolidWorks PDM Migration adapter is one of the adapter from overall 3DEXPEREINCE data migration suite. It migrates SolidWorks PDM data to 3DEXPERIENCE platform. The adapter is robust and industry strength tool, built considering the challenges and requirements of the Migrations. Subset of the data: For example, Latest Released data to be migrated. Note that it is very important to maintain structural integrity of the data, when migrating subset of the data. This provides ability to migrate all data that is defined in scope in single migration window of go-live weekend. Key factor is performance of the migration adapter. This provides ability to migrate the data in step by step manner. For example – site by site, product by product. In this model, during transition period, both SolidWorks PDM and 3DEXPERIENCE are in production. 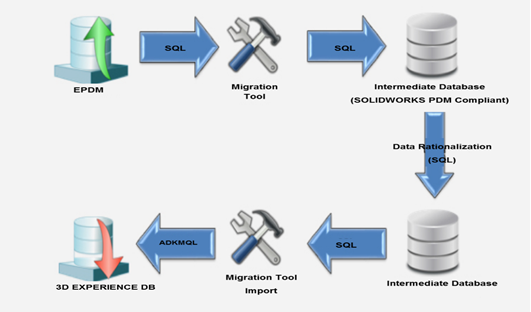 SolidWorks Migrator is based on very extensible and scalable framework for migration. The framework has below capabilities to have high throughput of the migration and minimize the migration window.